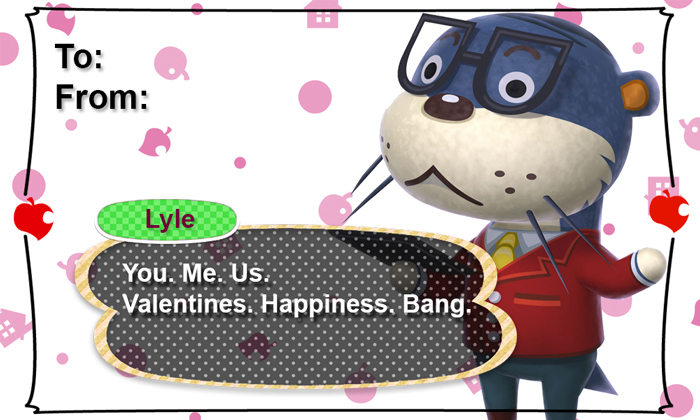 You love Animal Crossing, your valentine loves Animal Crossing, and you and your valentine love each other. 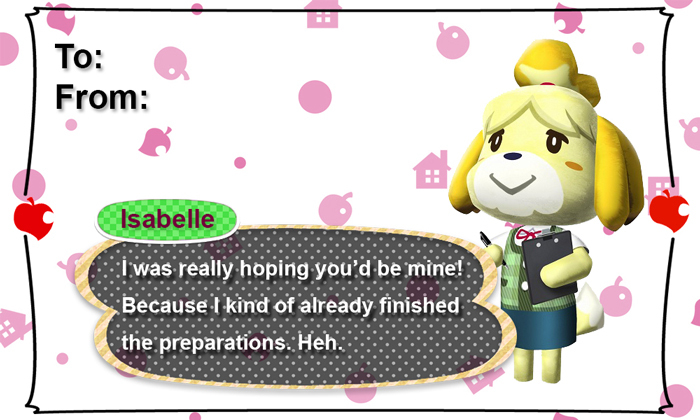 Containing all that love for extended periods can't possibly be good for your heart, so share some of it with these fantastic Valentine's Day cards made by Redditor, mynamejt. The quality of these cards is good enough that I'm surprised Nintendo isn't selling something similar as an official product. And if quality is job #1, quantity is job #2, and we've also got that here. Mynamejt made more cards than you can shake a fishing rod at, more than you can fit in your inventory, more than the number of comparisons I can come up with. You can click these images to enlarge them or head on over to the Reddit thread or the Imgur album for lots more. Also, here's a shout-out to mynamejt's tumblr page - give it a look! 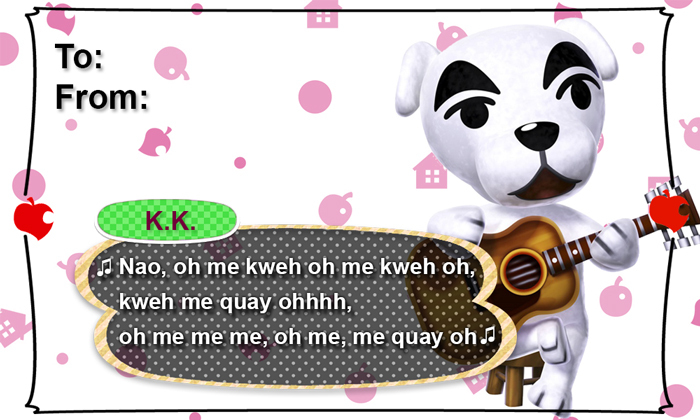 to K.K. Love Song. Bravo for that attention to detail! 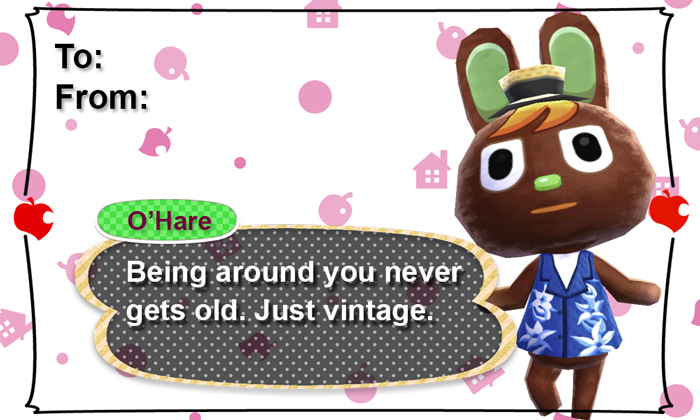 So, you like Animal Crossing, eh? How about a pun? 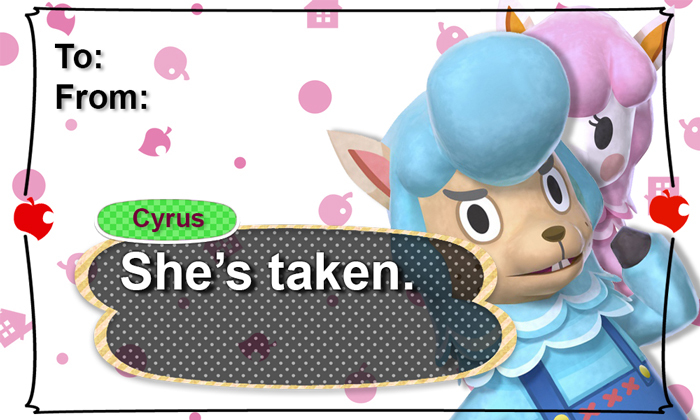 And in case you didn't read the top, check out the creator's tumblr page for more Valentine's Day cards.